Only five weeks until the VGB Conference "Maintenance in Power Plants 2019"! The economic outlook of the conventional power plant fleet in Germany has relaxed only slightly compared to the last conference in Bonn one year ago. But however, some of the locations have not been able to represent the operational success economically and technically in this period; decommissioning decisions were made for them. Towards the end of 2018, we are eagerly awaiting the results of the Commission’s “Growth, Structural Change and Employment”; in short: “coal commission”; to investigate their impact on our installations and in particular on the maintenance practices. This topic will be addressed with respect to the importance with the plenary lecture followed by a panel discussion. It is becoming increasingly important to prepare the last productive phase of operation of installations to be controlled, as well as to prepare and to carry out the decommissioning. Detailed reports on procedures will be supported by practical examples. Our exhibitors present themselves in the accompanying trade exhibition. Discussions at the stand with the specialists provide a good opportunity for all attendees to establish or deepen business contacts, or further discuss with speakers various aspects and current questions on maintenance. 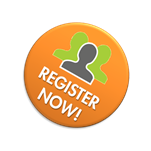 Register now for the conference Maintenance in Power Plants. We look forward to seeing you.